Despite the Canadiens having officially been eliminated from playoff contention before the temperature has made it consistently into positive digits, Habs fans shouldn’t worry. Owner Geoff Molson and general manager Marc Bergevin are on the case and they’ve got a top-secret master plan to fix everything. We know this, because they won’t stop talking about it… well, at least the fact that they’ve got one. As for the actual details? Not so much. But that hasn’t stopped us from getting our hands on a copy. So what does it involve? Two words: Time machine. That’s literally all the paper we “borrowed” says. Now, we can logically surmise they intend to do the following: Go back to when Bergevin traded away Norris Memorial Trophy-candidate P.K. 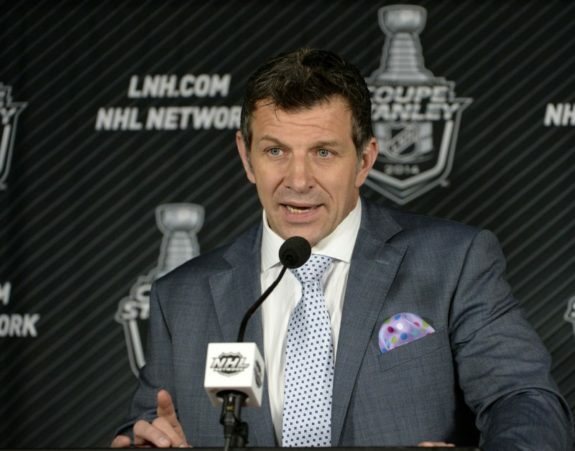 Subban… and one-time blue-chip prospect/ current up-and-coming stud-defenseman Mikhail Sergachev… and let Andrei Markov walk… really any point at which Bergevin got rid of a piece of the Habs’ mobile defense corps. It would make the most sense anyway. Relax folks…this is satire. Please keep that in mind while reading through, and hopefully chuckling. Of course, it’s unrealistic to expect the Habs to play only the Buffalo Sabres, whom they swept this season. That included two shutouts by the Canadiens, a team leading the league in shutouts against with a franchise-record 11 times. All due respect to the Sabres, they’re the only team that has made the Habs look good. For example, with their Feb. 15 5-4 loss to the Arizona Coyotes in the opposite conference, the Habs became the only ones to not only lose twice to the then-last place team, but also give them literally a quarter of their wins in regulation at the time (eight). Impressive stuff. That’s why the plan is to petition the league so that the Habs can only play teams they’re good against. So, you know, Buffalo. Think of it this way: One of the league’s most popular franchises and its most storied starts looking a lot more like the editions from its heyday, leading to more sold merchandise. They’d also be playing a division rival, which boosts ticket sales and keeps travel costs down. The Sabres would meanwhile bottom further out, presumably winning draft lottery upon draft lottery in the process. Look, no plan’s perfect, but for all intents and purposes everyone wins here. Except the Canadiens once the Sabres inevitably become powerhouses by actually rebuilding the right way. Cross that bridge when we come to it, though. There is no denying it: Acquiring No. 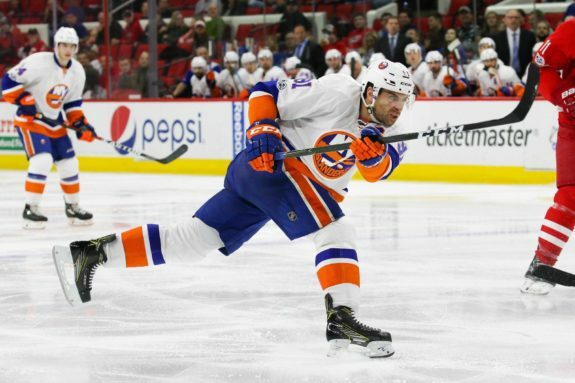 1 center John Tavares as a free agent come July 1 would solve a lot of the Canadiens’ issues… namely a lack of a No. 1 center. And, to the Habs’ credit, there seems to have been a lot of thought and pre-planning that has gone into it. At least it’s the best (only) way to explain all the cap space the Canadiens have. No word yet on how the cap space was intended to help the Canadiens this year though. It can’t exactly suit up for the team. They’d run out of space for digits on the back of the jersey for one thing. So, what part of the plan dictates how the resulting lack of success this season is supposed to entice Tavares to join the Habs? 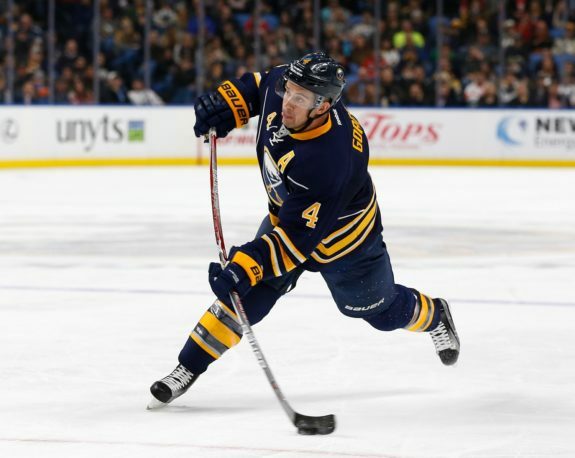 When almost every other team, including his present one, the New York Islanders, will be looking to sign him too? Well, clearly the Habs have undergone a concerted campaign to move away from the pack, differentiating themselves as the only team with needs at all positions. You see, Tavares is just the start! This is his chance to get in on the ground floor. Now, the Canadiens can’t very well in good conscience directly raise ticket prices for next season. But how else will they find the money to compete? Where there’s a will, there’s a way. Look at last season. Sure, the Canadiens got eliminated from the playoffs in embarrassing fashion. That didn’t stop them from overcharging for 2017-18 tickets. And they did it all by claiming to be doing everyone a favor. That takes talent. 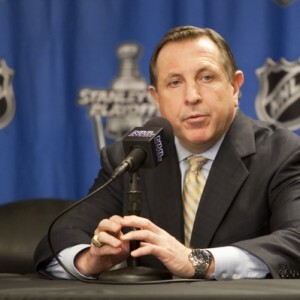 No word yet on where the extra money to ensure the better on-ice talent went. It must be a work in progress. The Canadiens sought to make the switch to digital tickets this season by attaching a $150 fee to sets their owners wanted to have printed out. Citing buzzwords like “sustainability” (like their lack of success),“ease of use” (handling paper leads to cuts, I guess) and “security” (because, who’s ever heard of anything dangerous being accessible over the web), the Habs rolled out the plan to much fanfare and applause. Just kidding. They got skewered. Next year is going to be different, though. Bergevin’s work turning the ship around this season should be enough to justify an “inactivity” fee all on its own. Or due to the team’s recent inability to select top-end talent out of junior? An “underdraft” fee, anyone? The fact of the matter is, the Canadiens know there’s high demand for their product and can’t help but take advantage. Granted, there’s high demand for change too. But price hikes are a form of change, no? Nothing says “We know changes need to be made, but don’t intend on making real changes,” like letting one or all of your assistant coaches go. Just don’t tell Kirk Muller, Dan Lacroix, J.J. Daigneault or Stephane Waite that. Some good news, though (just not for any of the above-mentioned poor souls): Remember when Bergevin’s predecessor Pierre Gauthier did the same to Perry Pearn back in 2011-12? And then fired head coach Jacques Martin literally two months later before the new calendar year because surprise, surprise, it didn’t really help? It turns out that it actually worked! Well, not that season. They finished third from last that season. But the next one? After Gauthier himself got shown the door? They won the Northeast Division. Fun fact: Patience is another key part of this plan… just of the unwavering variety… and on the part of only the fans. While scapegoating an assistant doesn’t have the same impact as doing the same to a big name (see Subban and Therrien, Michel), wait until the end of 2021-22. That’s when Molson’s plan will likely diverge from Bergevin’s and he’ll presumably pull the trigger under the false pretense of an actual change needing to be made (when it can justifiably be made for that same reason at any point leading up to then). In Bergevin’s case, the higher power would of course be Molson. In Molson’s case, you would think it would be the fans. It’s probably the almighty dollar instead. 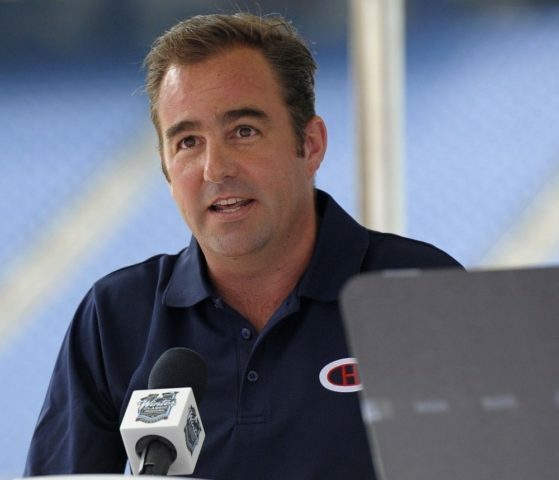 Whereas the New York Rangers owned up to their failures in a letter to their fans that’s been receiving positive reviews for the team’s transparency, sense of accountability and foresight to start rebuilding, Molson has stayed relatively mum on the subject of his team’s downward trajectory. It was literally published the same day Molson sat alongside Bergevin when the latter claimed an injury to Carey Price was the reason the Habs missed the playoffs in 2015-16. There was even some early scapegoating and firing done for good measure, with coaching consultant Craig Ramsay being shown the door. It also came just a few months before the Subban trade. While the Canadiens rebounded the following season, they are now worse off than they were then. Needless to say, as long as the actual master plan doesn’t involve some variation of what’s been done before, i.e., essentially most of the above, everything should be copacetic. At this point, Habs fans know better, though.